The existing house had belonged to the client's parents. The property had not been updated since the 1960's, the interior was dark and closed off. The renovation created an open plan living area that connected the living, dining and kitchen to the views of Canada Bay. The goal of the interior design was to open up the living area, creating a connection to Canada Bay throughout the property. 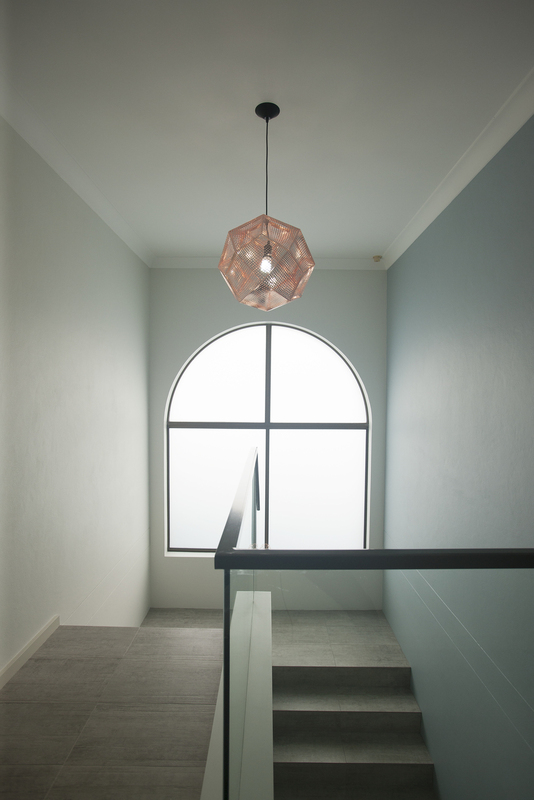 The existing property was dark and claustrophobic, the design was focused on creating an open plan environment that was befitting of the homes sentimental value and natural surrounds. The neutral palette in the living room, coupled with the bold black structure of the windows frames the view of Canada Bay. The neutral colour scheme is broken up with rich, warm elements; the use of copper in the kitchen, lighting and furniture ensures the space is a warm and inviting place for a family. 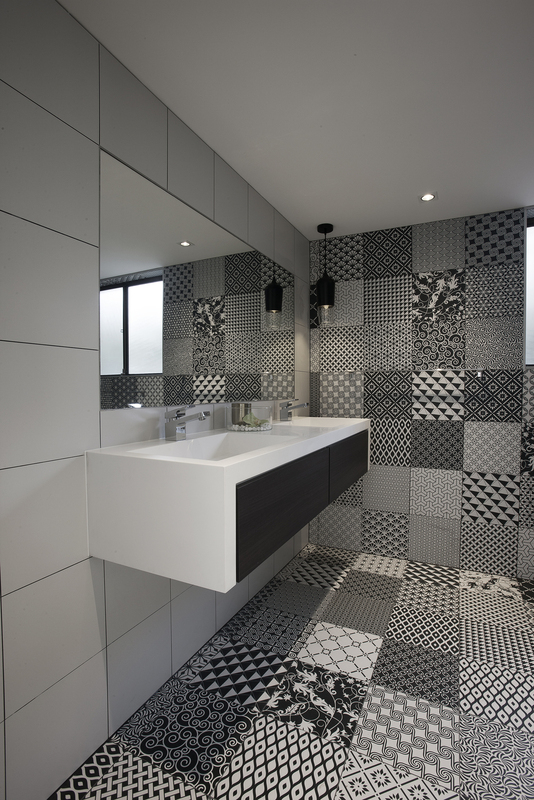 The bathrooms in the renovation have received strikingly different treatments, the ground floor bathroom is finished in dramatic graphic tiles that are offset by the neutral vanity. The first floor bathroom features a palette of concrete and timber, the materials create a sense of warmth and comfort. "Nathalie and her team are consummate professionals. 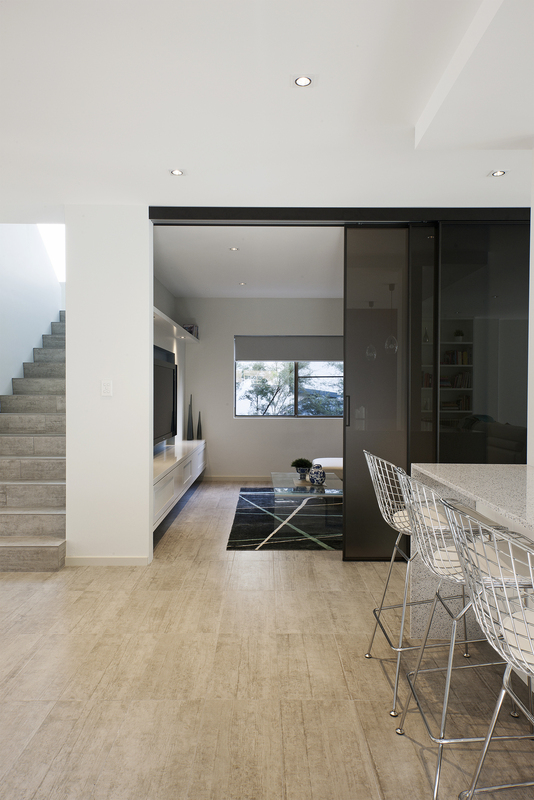 I wanted to modernise my house and Natalie came in with her team and changed a dark out-dated space into a fresh modern liveable environment, which full of light and striking features. Builders and contractors alike were courteous and caring. We were kept in the loop at all times and the end result is beautiful."